Lefrik, was born online in 2012 and opened its first flagship store in 2013 in Madrid. Inspired by urban lifestyle, Lefrik designs its products to be fashionable but also functional, using lightweight and resistant materials. They take care of every detail (small practical pockets, water resistant...) Lefrik is not only a cool urban brand. They care about the environment (we all should!). It is why they only use ECO friendly materials made out of 100% recycled PET, upcycling plastic waste from oceans and landfills. Lefrik contributes to the environment reducing the use of virgin polyester, extending the life of plastic bottles and saving energy in the production process. Nowadays, we should all support brands like Lefrik, brands that take care of our planet, that are not only about profit, that have a purpose. 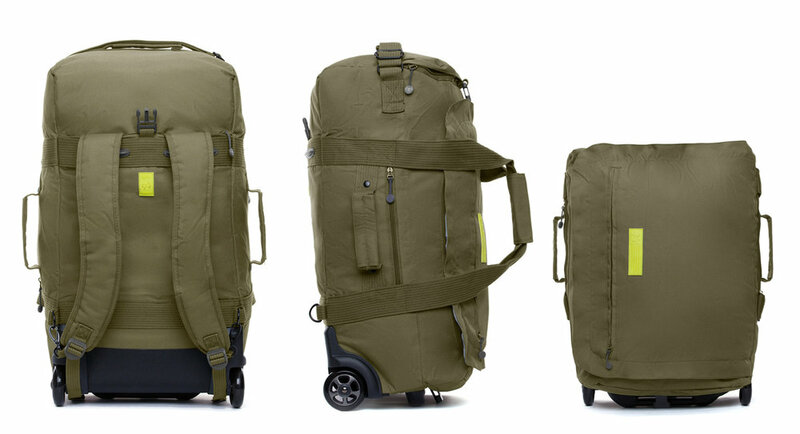 Let's talk design and fashion now :) My favorite Lefrik product : The Eco Foldable Travel trolley. 1 bag, many uses! This bag is light, can travel with you in the plane and if during your trip you have bought too much stuff - as always :) you can extend it and win some space! 2 wheels to make sure you travel easy. Once you are back home, just fold it and organise in a drawer! this bag will not take space in your apartment! Travelling for a weekend ? Then you probably need the Eco Convertible Backback! This one has it all! Really functional and stylish at the same time. You can use it as a simple backpack for the everyday life, as a laptop bag for a meeting or as a cabin suitcase for the weekend. Fantastic isn't it ? And because we like to be "assortis" let's get the Eco Soft roomy case for a perfect combo! Lefrik, thank you! Buying your products is the best! If you enjoyed this article, you should check out our article about Horizn Studios.